** New On The Market ** Bob Gutteridge Estate Agents are delighted to be instructed to bring to the sales market this traditional semi detached home situated in this ever popular Trentham location. 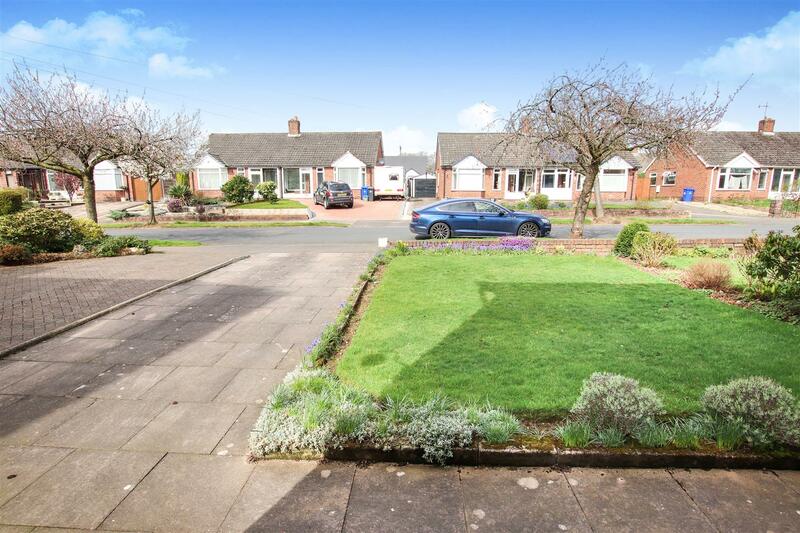 The property is situated on a pleasant plot with ample off road parking along with a brick garage plus gardens to front and rear. 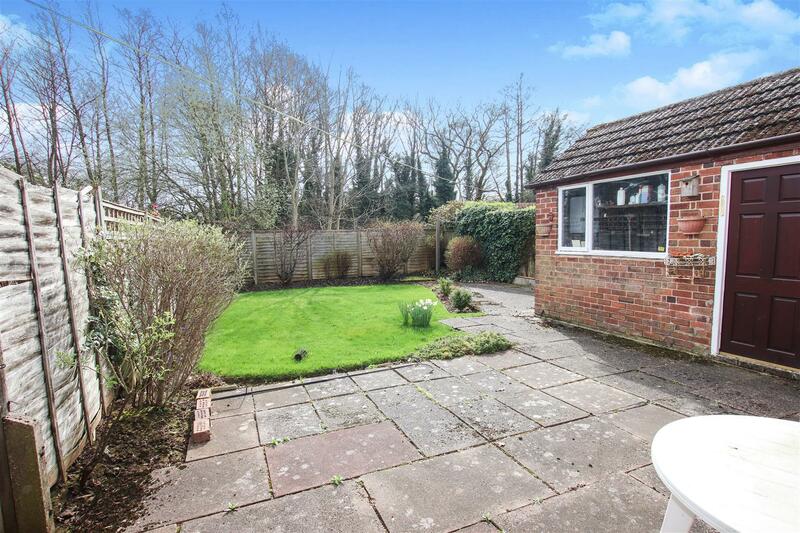 The property also benefits from a rear garden that back onto a pathway and Brook ! The property in general requires a modernisation / upgrade program but offers a pleasant and spacious layout of accommodation comprising of entrance hall, through lounge / dining room, fitted kitchen / breakfast room, downstairs w.c. and to the first floor are three generous sized bedrooms along with a first floor family bathroom. This property is ideally placed for access to the A34 as well as being near local shops, schools and amenities as well as the popular Trentham Gardens ! This property is being sold with the benefit of NO VENDOR CHAIN ! Entrance Hall & Downstairs W.c.
Off Road Parking & Brick Garage. With double glazed half bay window to front with inset lead pattern, double glazed window to rear, coving to ceiling, two wall light fittings, ceramic tiled hearth plus insert with cast iron grate, two double panelled radiators and power points. With frosted glazed window to side, gas meter and ample domestic shelving and storage space etc. With double glazed frosted window to rear, wall light fitting, a white suite comprising of low level w.c. and wall mounted sink unit with ceramic splashback tiling. With Upvc double glazed frosted window to side, artex to ceiling, pendant light fitting, double panelled radiator, a suite comprising of low level w.c., pedestal sink unit, panelled bath unit with mixer tap plus shower attachment and ceramic wall tiling with inset random pattern tile. With double glazed half bay window to front with inset lead pattern, two pendant light fittings, built in wardrobes providing ample domestic hanging plus storage space etc. and power points. With double glazed window to rear, pendant light fitting, power points and single panelled radiator. With glazed window to rear, pendant light fitting, single panelled radiator and power points. With metal up and over door, panelled side access door, glazed window to side and Glow Worm boiler provides the domestic hot water and central heating systems.